Well… the reality is a little different. The special sauce turns out to be people who are well trained for the task at hand and it doesn’t require a $1,000,000,000,000 market cap to get there. [Adam leeb] was recently overseas to help out with the production ramp for one of his products and took a set of fantastic videos that walk us through an archetypical asian factory. 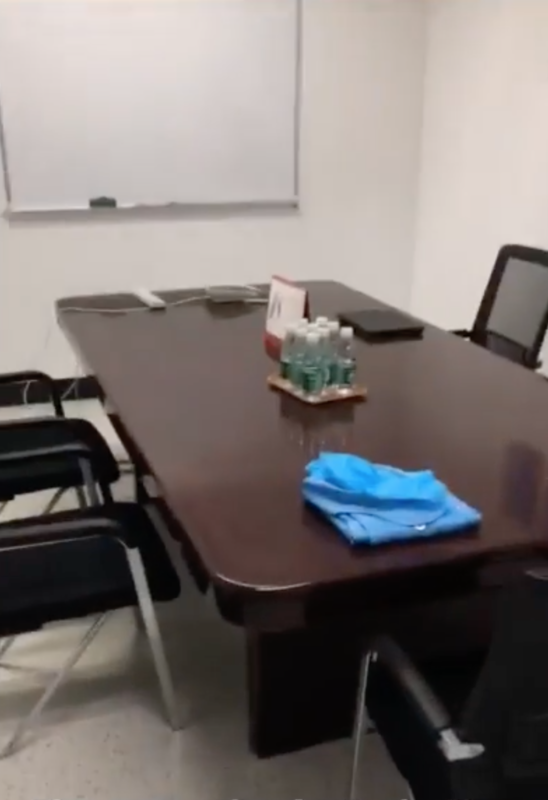 I’ve been to several factories and for me the weirdest part of the archetype is the soul crushing windowless conference room which is where every tour begins. Check out this one on the left. If you ever find yourself in a factory you will also find a room like this. It will have weird snacks and bottles of water and a shiny wood-esque table. It will be your home for many, many more hours than you ever dreamed. It’s actually possible there’s just one conference room in the universe and in the slice of spacetime where you visit it happens to be in your factory. Ok, less metaphysics. It’s amazing to watch the myriad steps and people involved in taking one product from zero to retail-ready. [adam] gives us a well narrated overview of the steps to go from a single bare board to the fully assembled product. From The Conference Room he travels to The Floor and walks us through rows of operators performing their various tasks. If you’ve been reading for a while you will recognize the pick and place machines, the ovens, and the pogo pin test fixtures. But it’s a treat to go beyond that to see the physical product that houses the boards come together as well. Check out [adam]’s videos after the break. The first deals with the assembly and test of his product, and the second covers the assembly of the circuit boards inside which is broadly referred to as SMT. Watching the second video you may notice the funny (and typical) contrast between the extremely automated SMT process and everything else. If you have a Raspberry Pi and have any interest in its peripherals, you may be familiar with the grinning pirate logo of the British company, Pimoroni. The Sheffield, UK based outfit first established a niche for itself as one of the go-to places for much of the essentials of Pi ownership, and has extended its portfolio beyond the Pi into parts, boards, and components across the spectrum of electronic experimentation. Their products are notable for their distinctive and colourful design language as well as their constant exploration of new ideas, and they have rapidly become one of those companies to watch in our sphere. On our way up to Newcastle for Maker Faire UK, we passed close enough to the Pimoroni HQ to be able to ask nicely if we could drop in and have a tour. Paul showing off some of the Pimoroni attention to design detail. This artwork is hidden behind a display panel on the finished product. The Pimoroni HQ can be found in a nondescript unit with a discreetly placed sign on an industrial estate after a short drive through the city from the motorway. Inside it’s the same as thousands of other units, a set of offices at the front and a cavernous warehouse behind, except this one is filled with the kinds of goodies that get our blood pumping! And we’re told this toybox warehouse is soon to be joined by another nearby unit, as the Pimoroni business is expanding. Our guide was the company co-founder Paul Beech, whose work you will be familiar with even if this is the first time you’ve heard his name; Paul was the designer of the Raspberry Pi logo! 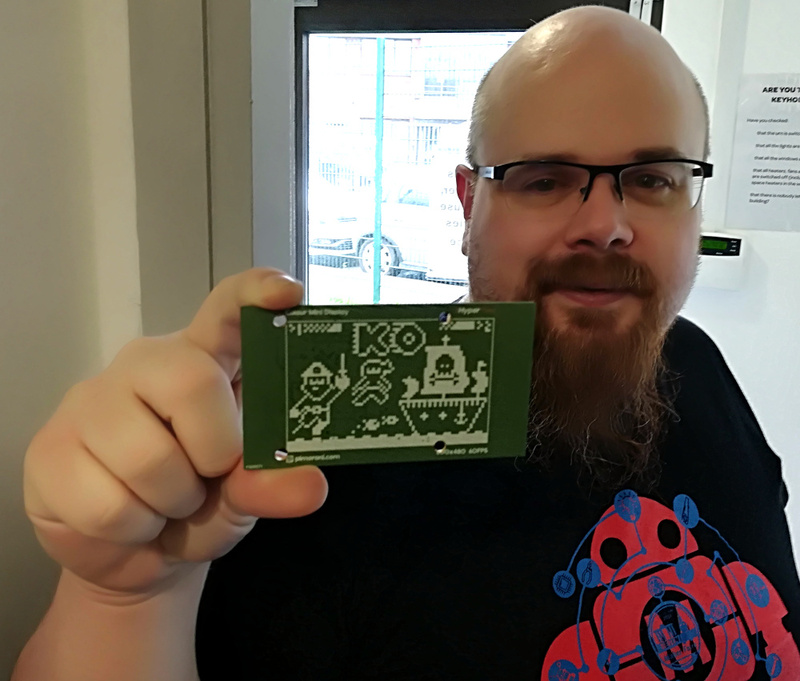 The company is not exclusive to that platform but it’s fair to say they have a strong connection with the Pi, starting in 2012 with as their website puts it: “One laser cutter and a kettle” on which they produced the first of their iconic PiBow laser-cut sandwich Raspberry Pi cases. When we think about world-famous electronics markets in Asia, usually Shenzhen, Tokyo’s Akihabara, or Shanghai’s Beijing Road come to mind. There’s another market that I’ve had my eye on for a few years: Nhật Tảo market in Ho Chi Minh City, Vietnam. It might not be as large or accessible as the more well-known markets, but it’s very much worth a visit if you’re in the area. I decided it was time to hop on my red motorbike (red things go faster) and give you a short tour of the central market, as well as some more hobbyist-friendly options. Last week, Hackaday had the chance to tour NASA’s Jet Propulsion Laboratory (JPL) in Pasadena, California. Tours are given all the time at JPL, but ours was special. Steve Collins invited us, and acted as our tour guide, and a new friendship with Michelle Easter got us a look inside the labs where equipment for the 2020 Mars mission is being built.